The oldest houses of Saunalahti area were already built in the 18th century when the road westward from Vyborg went along the shores of Saunalahti. Actual inhabitation spread to the area after the Vyborg-Riihimäki railway was finished in the 1870s. The area between the railway and waterway was called Saunalahti and the area north to the railway Likolampi. 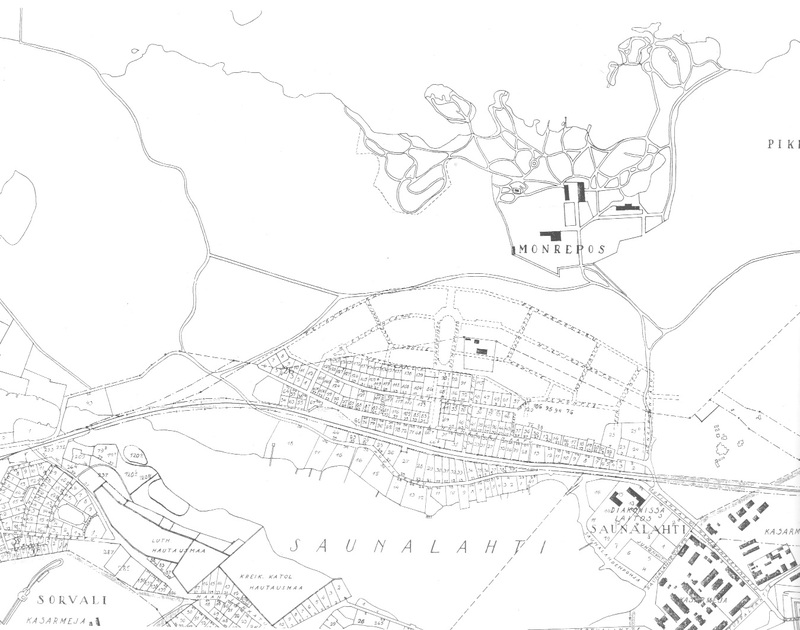 In census on 15 June 1898, Saunalahti had 39 and Likolampi 32 houses. The total number of inhabitants was 525. After incorporation into the town in 1933, the whole area was named Saunalahti. The area also officially covered Monrepos park, which owned the northern plots of Saunalahti. These plots were also rented for 50 years at a time. After town planning Saunalahti expanded and was fast inhabited. New streets were built and the area was covered with water and sewer networks. The area was popular, which was affected by the closeness of Monrepos park and the affordable plot renting conditions. A deaconesses’ institution was built along Haminanportinkatu street in 1931. The deaconesses’ institution had been established in 1868. The idea came from the Hackmann family and was based on their will.